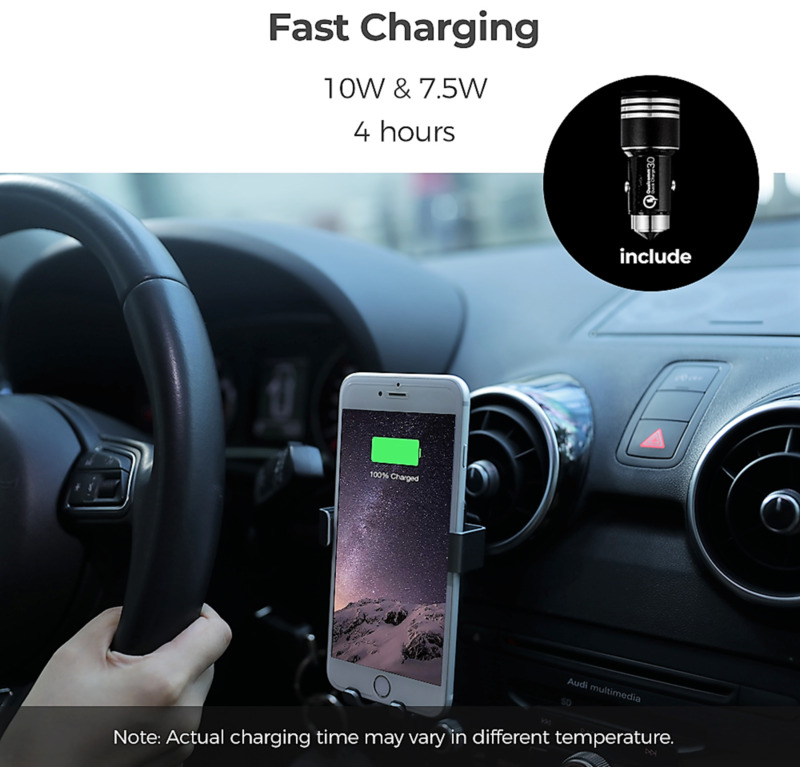 Autowit's Qi Wireless Car Charger ($25.99) is an easy to install auto charging unit that can wirelessly charge compatible Qi phone models. 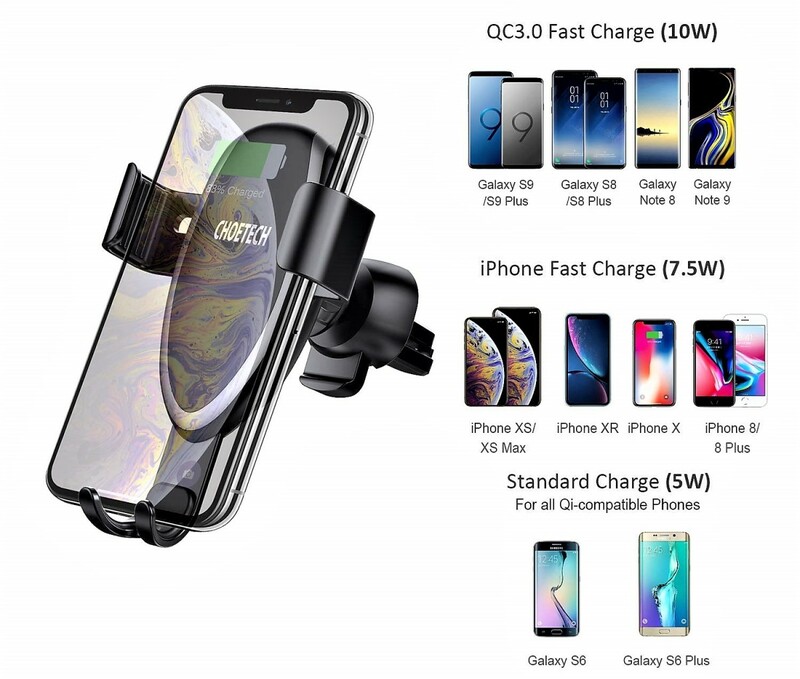 The product comes with a separate car adapter and USB cable that can enable Quick Charge capabilities to the newest iPhone and Android phones like the iPhone XS/XR and Samsung Note 9. Additionally, you can install the item with a car vent mount (included) or through a dashboard mount (not included). You can purchase Autowit's dashboard mount on Amazon for only $10. The mount includes a 225° pivoting arm, a strong suction cup, and an adjustable telescopic arm. Autowit's car chargers are a great way to add to or update your existing infotainment system, and the accessibility features will give you more than you bargained for..
You can adjust the charging position by pulling the bottom bracket of the charger up or down. This will align the receiver of your phone to the coil center for charging. Suction cup may leave a mark on your dashboard, but it can easily be removed with the proper cleaning supplies. You can use the mount on your windshield, however it's more likely to fall off than when placed on the dash. Note: Qi charging will not function if phones are used with a metal ring, case, or magnetic pad. 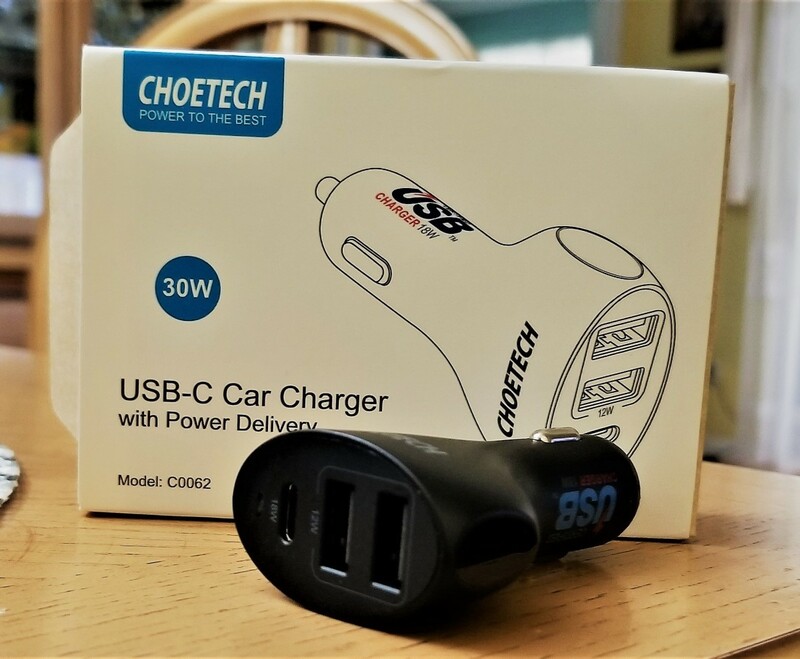 The (included) dual car adapter supports Quick Charge 2.0 & 3.0, and the USB cable provided supports data transmission function for fast charging. Note: Not all compatible phone models may be listed. 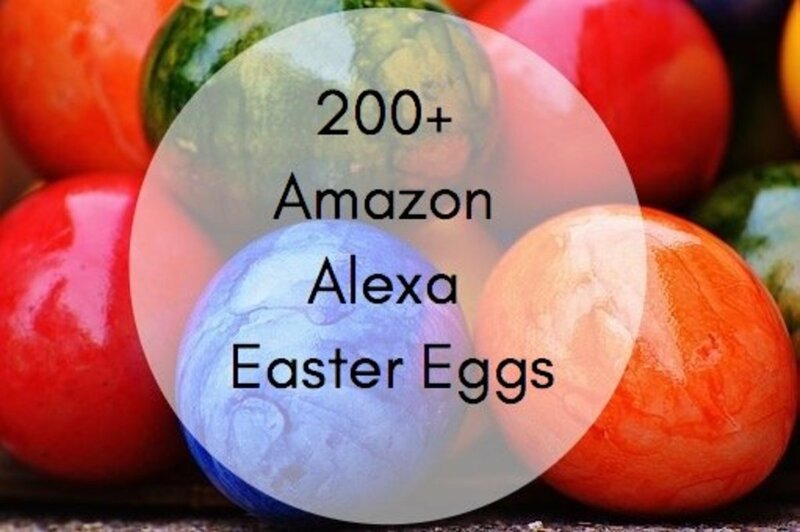 Additional models can be seen on the Amazon product page or in the user manual. Besides providing in-car charging, there are several extraneous features that are sure to hook you in. 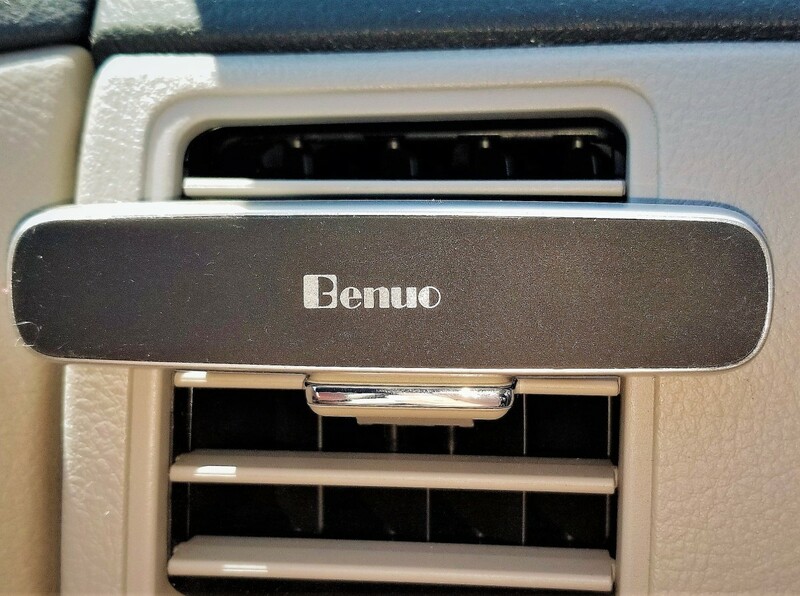 Having the option to install the charger through your car vent or via a dashboard mount is extremely appealing. Before this product I've had to settle for one or the other, but now that's no longer the case. Even better is that both installation modes are user friendly, and they're able to suit whichever vehicle you own. Would it be awesome if the dashboard mount came with the item...sure...but you're already getting a lot with the QC adapter and car vent mount. Wireless charging should be a standard for all car mounts because it guarantees multi-functionality that's sorely missed in non-wireless versions. However Autowit managed to take this efficiency a step further with "fast" wireless charging modes that work with Android and Apple models. QC itself charges devices 40% faster than standard versions, which is great when you don't have a lot of time and need a quick battery boost. The charger and mounts are very flexible, and they give your phone that much needed depth. With 360° rotation, you can change your phone's viewing angle to any direction you want. 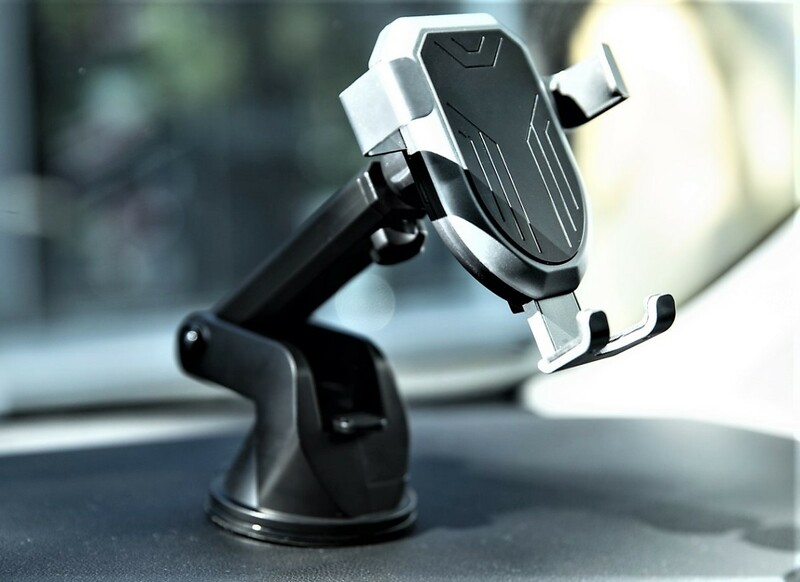 This is particularly useful when used for navigational purposes, and if you're using the dashboard mount, you can alter the angle and distance of your devices. The automatic locking feature gives the charging mount the accessibility I've been looking for. The product uses gravity induction to lock and hold your phone in place. To use, just slide the phone through the top of the charger and it'll lock into place. You can use the bottom brackets to adjust the phone if need be. Removing the device is equally easy, simply slide the phone back out through the top of the unit. Wireless charging will only begin when the phone is securely locked in. 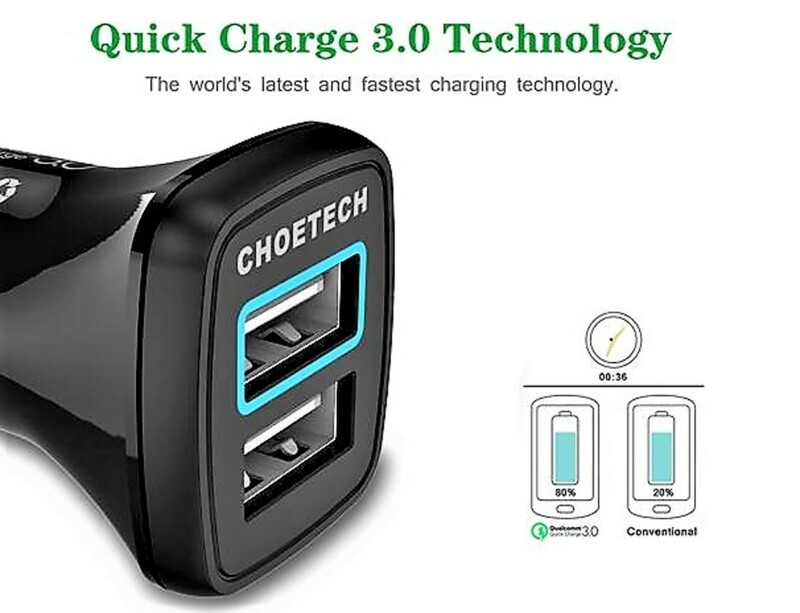 The best thing about this charger is that you don't need to own a Qi-compatible phone. In fact, wireless charging is optional and you can use the product as a standalone car mount. Furthermore, the mount contains an opening on the bottom that allows for easy access to any charging adapter, which is a brilliant design choice. Normally I would include a customer complaint section, but I haven't seen any red flags yet. I do have a couple gripes, but they're very minor. 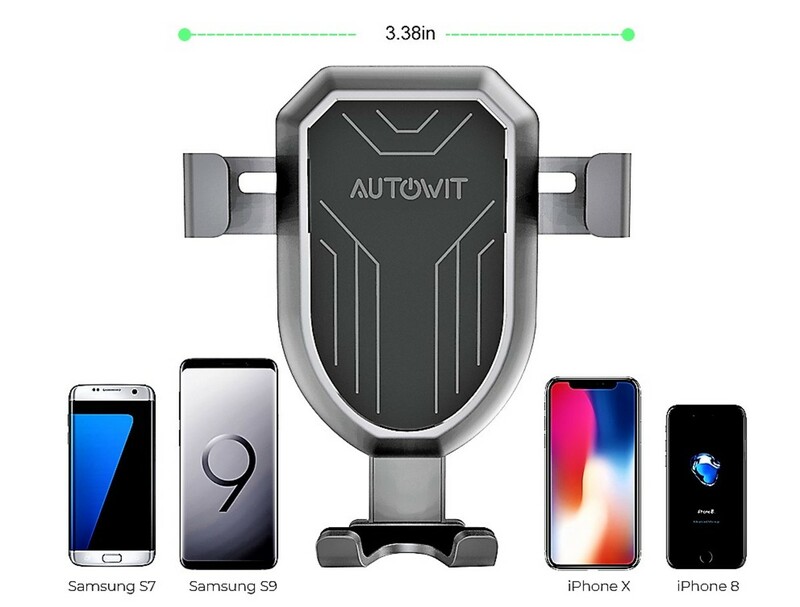 I would give the Autowit Wireless Car Charger 4.75 out of 5 stars. 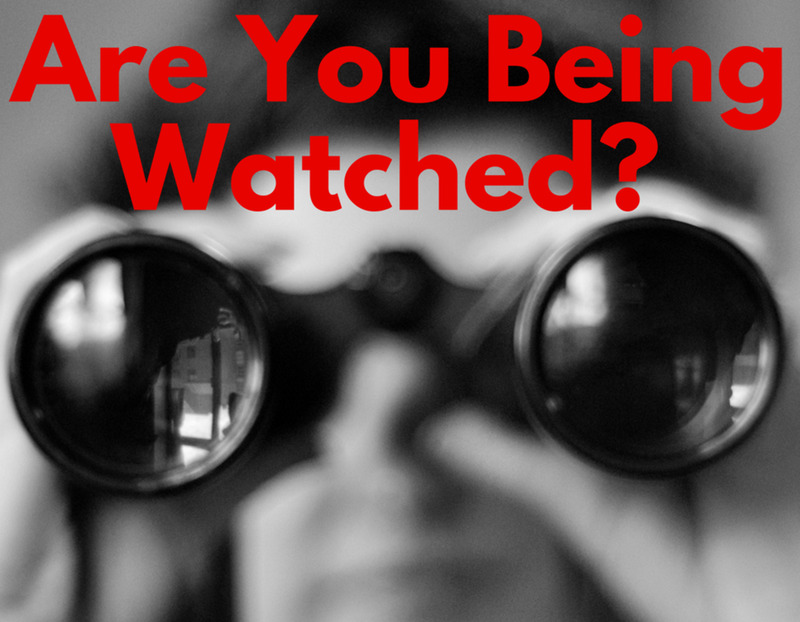 The product works exactly as designed, and it has a few bonuses that I wasn't expecting. I really liked how accessible it was and that it didn't sideline older phones. The Qi features work really well and they support numerous models for standard and fast wireless charging. My one gripe is about the locking mechanism. It's secure enough, but I prefer iOttie's snap and clip-on feature. iOttie's version feels more fluid, but maybe it's because I've gotten accustomed to it. Overall, I've been really happy with this product. The charging worked great, the accessories performed to expectations, and even Autowit's dashboard mount felt good to use. 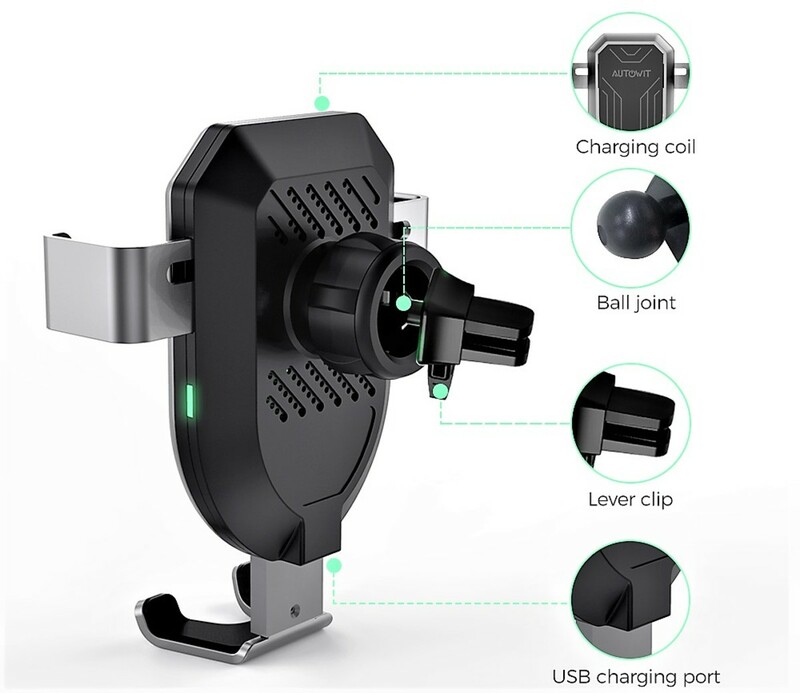 I would thoroughly recommend this product to anyone who's looking for a stable car mount or a decent wireless car charger. Don't be the person fussing around with a smartphone while driving; get an Autowit Wireless Car Charger instead. Where do you place your phone while driving? You don't necessarily need the right phone. It works really well as just a phone mount for any phone. It also has a slot on the bottom, so you can plug your phone into your car's adapter if your phone can't be charged wirelessly. Thank you, I've been using it for the past couple weeks and it's really fantastic. 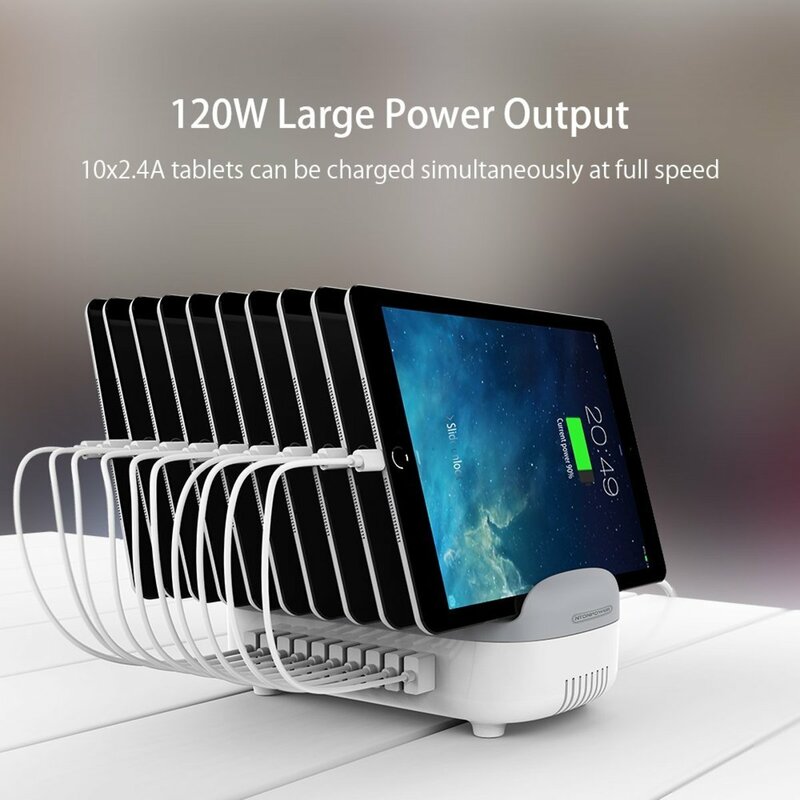 This looks like a very useful product with an excellent recommendation. When you give something 4.75 stars people need to take note. I don’t have an eligible phone else I’d get one but good review as always.